On the 6th of May, 59 bursary awards were given out to the beneficiaries. 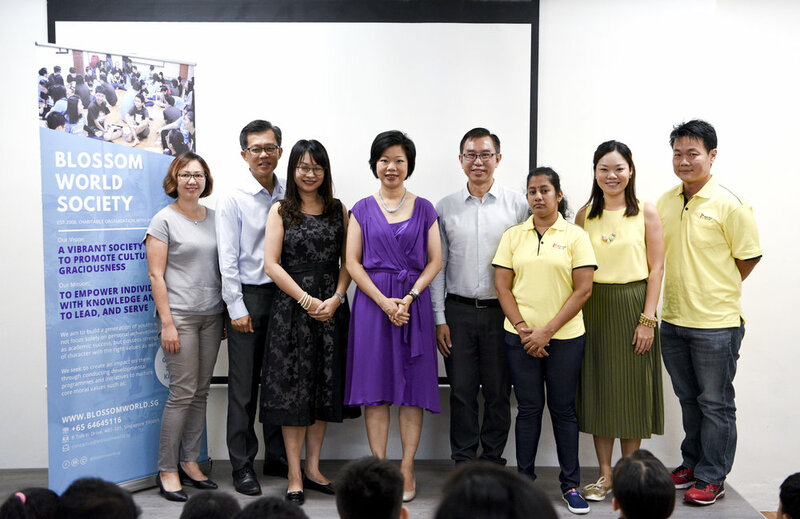 We are deeply honoured that the event was grace by our Honorary Advisor Ms Sim Ann, who presented the bursaries to the Youth of Today and Tomorrow! Blossom World Society Bursary Presentation Ceremony is not just a solemn presentation of awards. Through presenting the bursaries to the students, we also aim to instil the value of gratitude amongst them, especially gratitude towards their parents. How often do we show our appreciation to our parents? A simple appreciation card is enough to touch the heart of our beloved mom! We would also like to take this opportunity to thank the befrienders and volunteers for taking their precious time off to join us. Befrienders came from different backgrounds and different races but all with one common trait - the warm smile and caring heart to serve. It was indeed a heartwarming Sunday, witnessing the sincerity of the befrienders towards the students and the appreciation of the students towards their parents.